Whether your holidaying overseas or within New Zealand, our first tip is to keep your travel beauty kit simple, because travelling light means travelling simply and happily. And happy travellers radiate a natural beauty already! But for anyone who dreads the idea of going on a trip without at least the basics for keeping your complexion peachy and your manicure spotless, here are our must-have travel accessories for your toiletry bag. 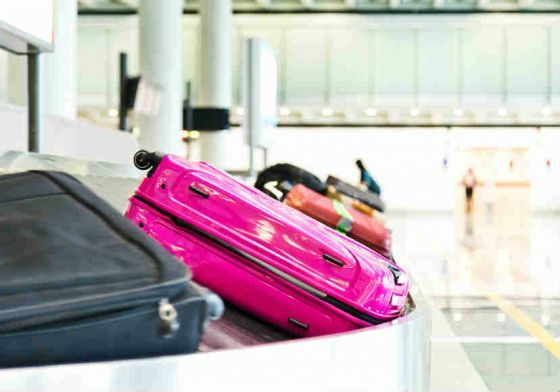 Whether your carry-on is an Oroton handbag or a cheap backpack, there are a few absolutely essential toiletries you’ll want with you on the road or in the air. You just never know – your flight may be delayed by a few hours; or your check-in luggage may get put on a different flight; or your bus trip might take hours longer than expected. Toothbrush and toothpaste, so you’ll always be minty fresh. Pawpaw cream, is my own personal life-saving travel accessory. It’s my moisturiser substitute in the dry air-con of the airplane, and my chapstick for windy days spent with my head out a bus window. It also does some basic wound first aid if you get a paper cut or a light graze. Deodorant cream or roll-on, so you can keep it in your carry-on and still walk off the plane feeling and smelling fresh and clean. Nail clippers, for the nail you inevitably break while trying to lock or unlock your suitcase. Sunscreen, if you’re travelling anywhere that the sun shines during the day. Protect yourself from that UV every 2-4 hours, and you’ll be able to enjoy the rest of your trip burn-free. Hand sanitiser or wet wipes, to cover you for all those soap-less public toilets along the road. Comb, to undo the tangles you get from sleeping on an airport bench when your flight is delayed. For international flights, you’re required to put all your carry-on liquids – like the toothpaste, moisturiser, and deodorant we just mentioned – in a see-through bag. This is just so that security can check you’re not up to anything dangerous, and there are plain, clear bags available for sale at chemists. Our tip is to get yourself a gorgeous version of this transparent pouch. Clear on one side, flowers on the other. Face cleanser, to wash off the smog and dust of an unfamiliar town. Shampoo and conditioner, because no-one really likes to use the two-in-one conditioner/shampoo hotel versions, even if they are complimentary. BB cream – why carry foundation and primer when you can carry both in one tube? Mascara – never forget the basics. Razor, to keep those pins smooth while you’re tracing your steps around Rome or lying lazily on the beach in Hawaii. Tweezers are an all-rounder when it comes to travel accessories. They do much more than tame bushy brows, they also cover you for splinters and other medical emergencies. Nail polish: If you need a touch-up or a removal, buy a cheap bottle of polish or a bag of remover wipes at a chemist over there. It is not worth bringing your colours, only to have your polish or remover break and spill all over the belongings in your bag. Hairdryer: Hotels have hairdryers available in their bathrooms already. If you’re backpacking, why are you wasting effort washing your hair? You can use dry shampoo to avoid the wet hair issue entirely, on a short trip at least. Perfume: Did we mention the nail polish bottle breaking and spilling? Your perfume would smell nicer, it’s true, but it still might ruin your clothes. Having the right cosmetics and toiletries with you gives you a certain amount of peace of mind, but travel insurance gives you more. And if you’re still worried about how you look while you’re on the go, just remind yourself that you’re never going to see these people again.